It has finally happened. 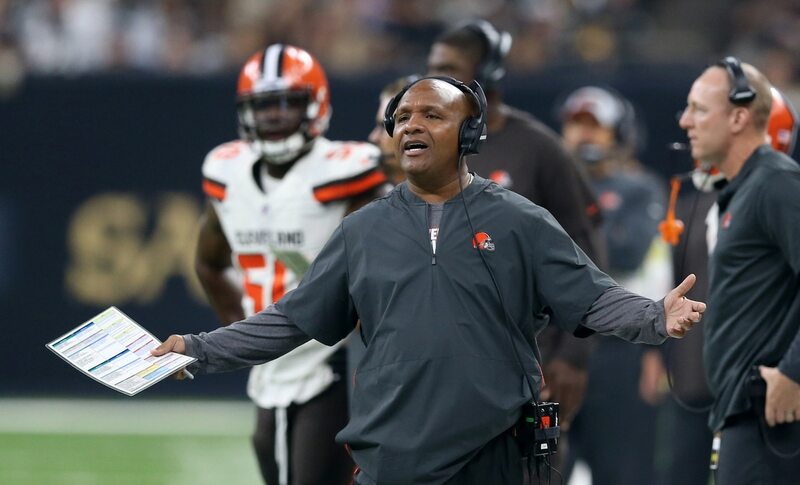 After being on the hot seat for the better part of the past two years, Hue Jackson has reportedly been fired as the Cleveland Browns‘ head coach. For many, this has been a long time coming. Jackson entered the 2018 season with a 1-31 record as the team’s head coach. While Cleveland has been more competitive this season, a 2-5-1 mark after Week 8 didn’t please the brass. There’s also been some drama take hold between Jackson and offensive coordinator Todd Haley, who will now presumably take over the head coaching duties on an interim basis. Jackson’s tenure as the Browns’ head coach ends after he posted an awful 3-36-1 mark. The team won a grand total of one game on Sunday with him manning the sideline in Ohio. The backstory here is rather obvious. Jackson was brought in before current Browns general manager John Dorsey. That made it clear that his leash would be short. And with the Browns having failed to win all but one of their four overtime games, it became clear that Jackson wouldn’t be long for the job. He’s now unemployed.